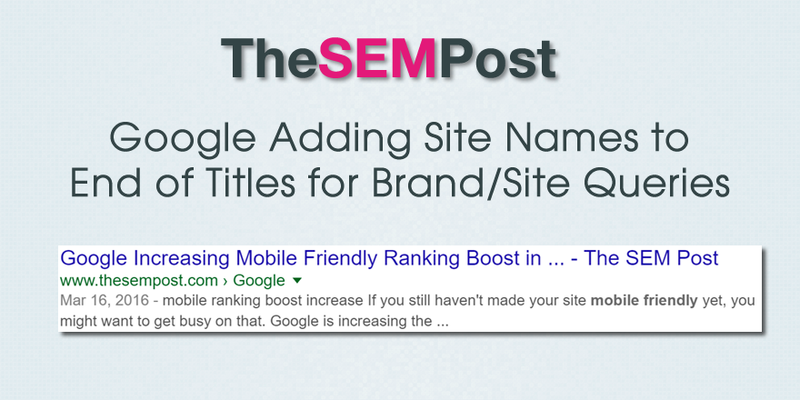 Google is adding the site name to the end of some search queries in the search results, truncated the title in order to display a brand or site name at the end. 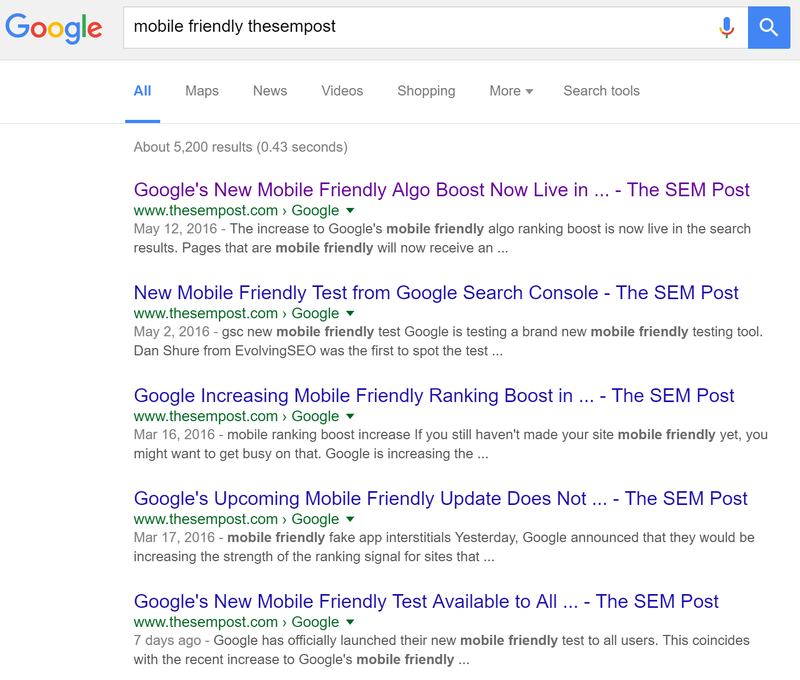 Here is an example of a search which included “thesempost” in the search query. But what is pretty significant is Google is that Google is truncating the actual title in order to display the site name in the title as well. So once again, shorter tags are ruling the day. Google is only doing this for searches that are also including the site name or the brand. The same search without the site name would show the usual title tag. Here is the identical search query, the first including “thesempost” while the second did not. So Google is showing the full longer title as long as the site name isn’t included in the search query. Google has been using this behavior for a couple of weeks, taking advantage of the ability to show longer titles. Google has been doing this for couple of years already now (maybe only recently for your site? ), and I’ve noticed that its not always triggered by brand search, it can also happen on a generic search too. What’s frustrating though is sometimes (although not too often) Google gets the name of the site/brand incorrect and can place seemingly random words there. Seen it place a heading there that appears on every page, or an link anchor text that appears on every page, among other things. Years ago, Canada used to be a prime testing region… I miss those days!